What are the golf club properties that amateur golfers are looking for? Judging by the experience, most weekend golfers want their irons to improve their game and give them as much forgiveness as possible. If you agree with us, then Callaway Edge irons might interest you! Check out our Callaway Edge Iron Review. These irons use a game-changing technology that’s bound to give your shots more distance, as well as reduce the impact of your mishits. Therefore, these irons might be ideal for amateur golfers who are looking to take their game to a new level. Sure, Callaway Edge irons won’t turn you into Tiger Woods straight away, but they may give you an edge over your opponents. There are many reasons why this is the case, starting with the fact that the lofts of these irons are increased, meaning that the ball-launching job should get much easier for you. Another thing bound to improve your launching ability is the fact that Callaway Edge irons have a low center of gravity. And this design is also responsible for an increased forgiveness. 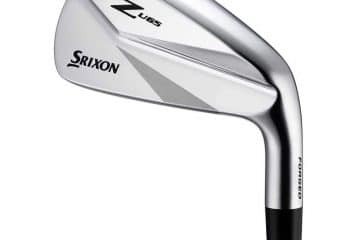 Speaking of forgiveness, these irons are great for those who tend to take more turf with each swing, because they have a wider sole that improves the ground interaction. And when it comes to drawing the ball, thanks to a progressive offset, Callaway Edge irons are gonna make it easy for you to draw it. If after learning all this, you’re still not convinced that Callaway Edge irons belong in your golf bag, then we urge you to take a closer look at their features! But, first, let’s see which clubs you will get if you decide to buy this set. What You Get in the Set? Titanium head driver – The driver comes with a large clubhead made of titanium. It has a fast face and a very low center of gravity, which is going to improve your launch prowess. On top of everything, driver’s shaft is made of graphite which makes it very lightweight, thus great for improving your distance. 3-Wood – The shaft of the wood is made of graphite, which makes it lightweight and great for getting more distance. On top of that, its aerodynamic clubhead and low center of gravity make the 3-wood great for launching the ball on a long flight. 5-Hybrid – The 5-hybrid is very forgiving thanks to its cambered sole. It makes launching the ball from any type of lie a pretty easy job. Steel-shaft irons – All the irons in this set feature steel shafts and same as any other club from this set, they too are very fast and very forgiving. Odyssey White Hot Pro putter – The putter gives you a fantastic feel, which is achieved through the use of a SuperStroke grip, the purpose of which is to stabilize the stroke. Improved distance – The woods are designed so well that you’re gonna get a significant distance improvement right after you start using them. Very forgiving irons – These clubs are designed to help average amateur golfers get much better at their game. So, if you’re getting annoyed with your mishits, Callaway Edge clubs might be able to fix them. 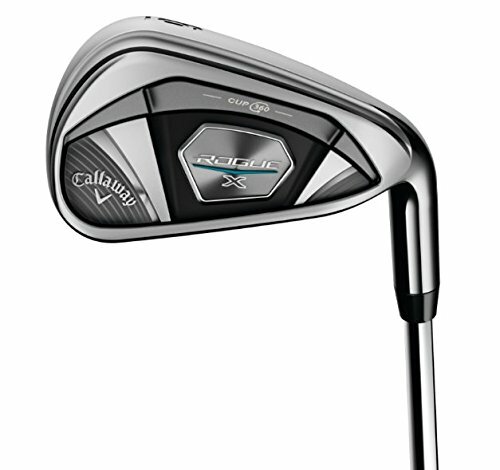 Reasonable price – Considering how high their level of forgiveness is, Callaway Edge are pretty reasonably priced clubs. Sure, they’re not cheap, but then again, they cost much less than many other top-class game-improving clubs. For amateurs only – If you think they’ll win you a tournament, you’re mistaken. Callaway Edge are made for amateur golfers who are looking to take their game to a new level, but if you want more, you will have to look for some more high-end gold clubs. Callaway Edge might be perfect golf clubs for you if you’re an amateur golfer in need of something that will “forgive” you for your mishits. Apart from giving you a high level of forgiveness, these clubs will also improve your distance. Actually, they can improve your distance significantly if that’s been your Achilles’ heel. And the best thing is that you won’t need to pay thousands of dollars for such improvements in your game. All you will have to do is buy Callaway Edge, which cost less than a grand.